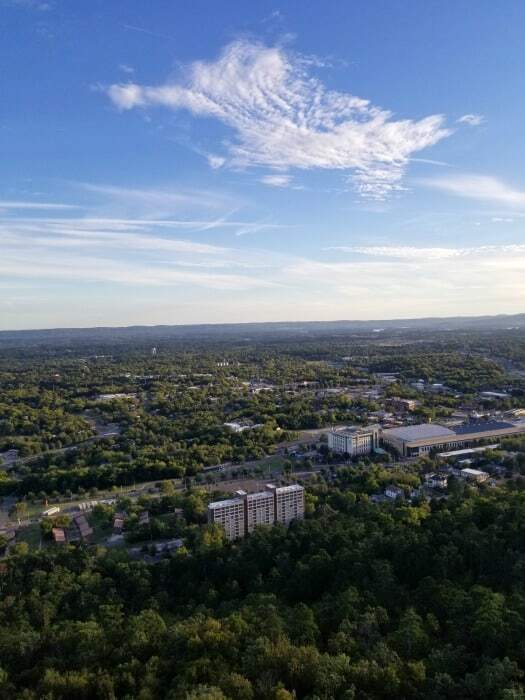 Imagine seeing Hot Springs National Park from 1,256 feet above sea level! 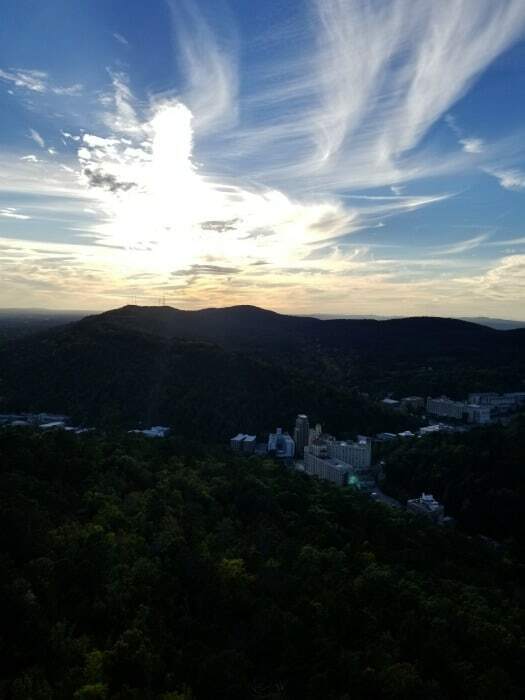 That is exactly the view you can enjoy from the Hot Springs Mountain Tower. This is one of our favorite things to do in Hot Springs National Park! 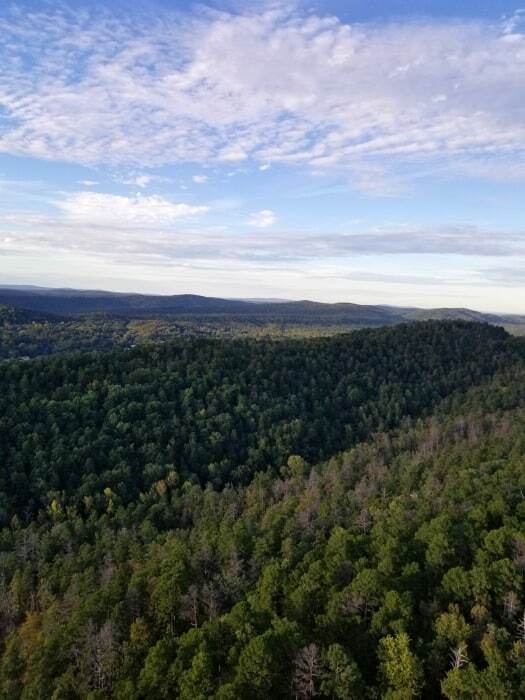 You can enjoy an amazing view over the scenic Arkansas countryside and see a whole new perspective of the National Park. You can see 140 miles including the Ouachita Mountains and the surrounding Diamond Lakes area. The Hot Springs Mountain Tower elevator transports you 216 feet up from the main floor to the observation deck and museum level. There are two levels you can enjoy during your visit. 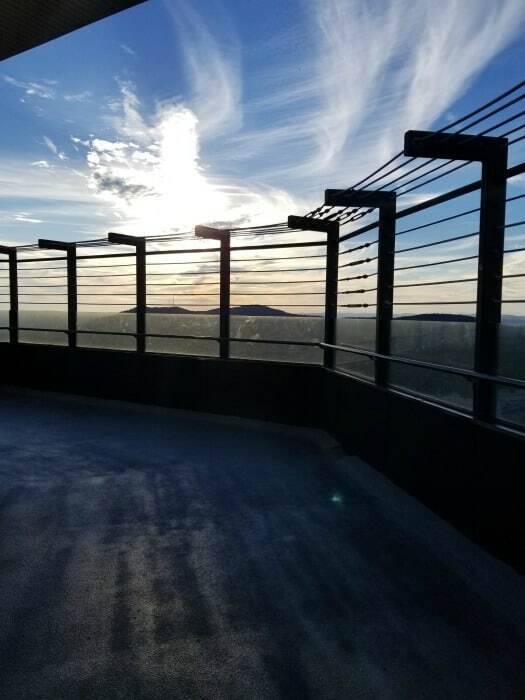 The observation deck is an open air deck that gives you the chance to enjoy 360 degree views of the park and scenery. Be prepared for it to be windy or cooler at the top than what it is in in the parking lot. Even in October we were a bit chilled at the top. 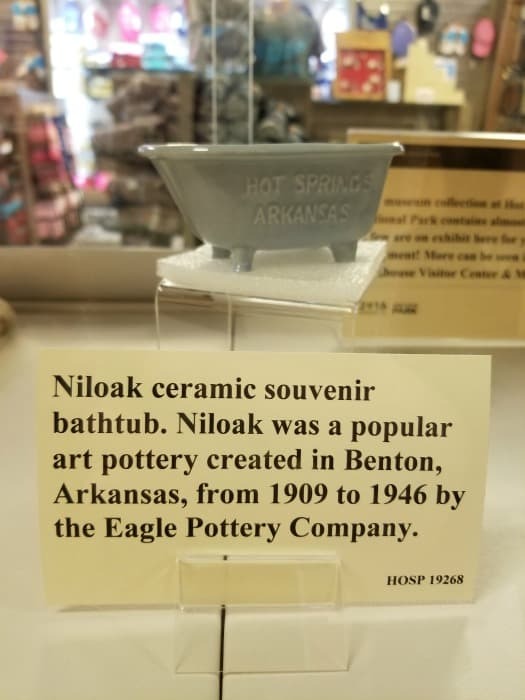 The museum level is filled with artifacts and information on Hot Springs National Park! We learned so much wandering around this level and reading the interpretive panels. They are filled with great history and fun facts on Hot Springs NP. The current Hot Springs Mountain Tower is the third tower to stand in this spot since 1877. 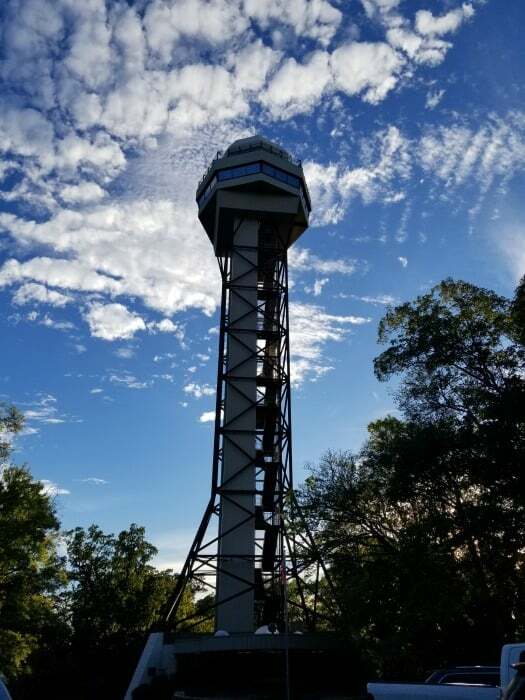 This tower officially opened in 1983 and consists of steel construction. 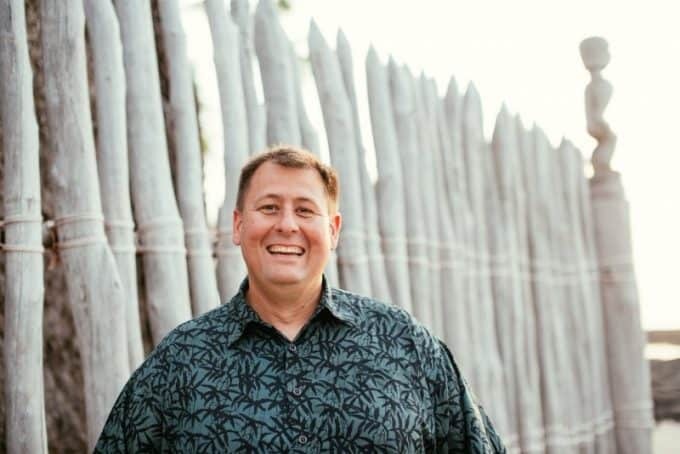 Check out these amazing views! Location – The Hot Springs Tower is located on the top of the Hot Springs NP scenic drive. 401 Hot Springs Mountain Dr. Hours – The hours vary depending on the time of year you are visiting. The tower normally opens at 9 am and closing depends on the time of year. Be prepared the tower closes 30 minutes before the gift store. Gift Store- There is a nice size gift store on the main floor of the Hot Springs Tower. 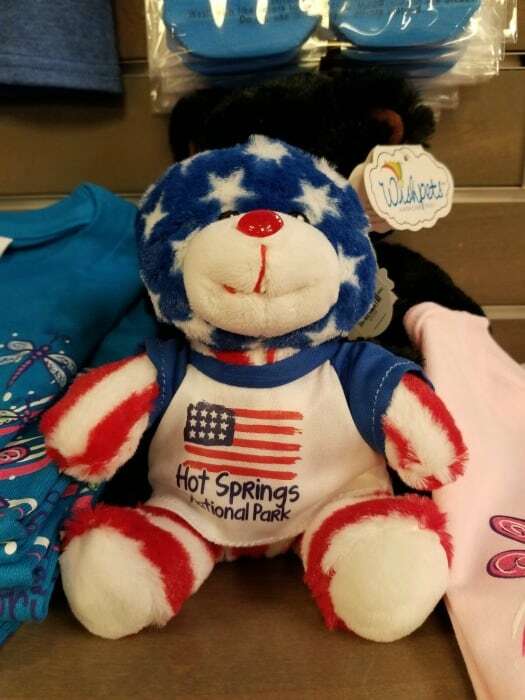 You can find souvenirs, drinks, and some snacks, crystals and everything you can imagine with Hot Springs National Park printed on it. Don’t miss all of the amazing things to do in Hot Springs National Park!